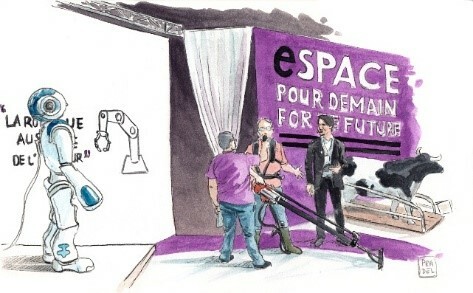 The 'Espace for the Future', with more than 23,000 visitors last year, has become an important stage in the SPACE visit. 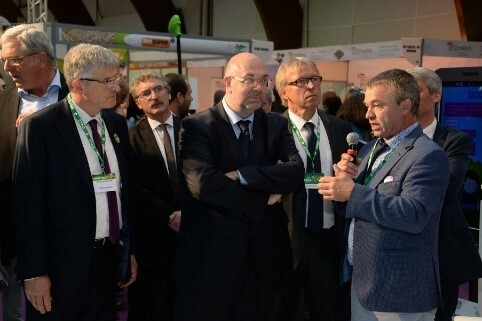 On this wholly redesigned platform with a new identity, the public are certain to find new technologies, new equipment, innovative practices or techniques noted by the Expo organisers, the Chambers of Agriculture and their partners. This year, following on from the robotics theme highlighted in 2017, the elected representatives of the Chambers, with support from SPACE, were keen to focus on “innovation to improve working conditions”. An opportunity to draw attention to tools, organisations and expertise which improve farmers’ comfort and the appeal of jobs whatever the sector. In cattle production with milking which represents more than 50% of the workload, in pig production with cleaning of the stalls or the vaccination of the animals, and in poultry production with bedding maintenance, weighing or cleaning during the farm health cleaning period, there are still too many tasks considered arduous and repetitive. In this context, in the last few years, the problem is increasingly taken into account by the profession and solutions are appearing to improve working conditions both of farmers and their employees. 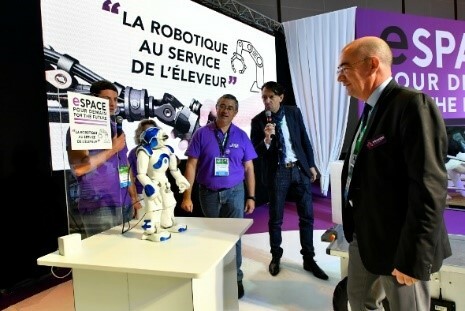 In the “Espace for the Future', the mission entrusted by SPACE organisers to the experts from the Chambers of Agriculture with backup from different partners (GIE Elevages de Bretagne, Agretic BDI, technical institutes, etc.) was therefore to present tomorrow’s farms to visitors integrating the 3 pillars of sustainable development: economic, environmental and social. Based on beef cattle, pig and poultry farms, this year ingenious and new equipment were proposed ('piglet lift', intelligent silo unloader, hen house cleaning robot, etc. ), and also in-depth discussions involving farmers and their employees to explore ways of working better and less. By sharing expertise with innovative equipment and new practises, the “Espace for the Future” was highlight the fact that farmers carry out a highly varied, fulfilling job which requires a combination of a whole range of knowledge and skills. Generation renewal and some farmers continuing in the profession will require an improvement in working conditions (and not the acceptance of the working conditions).